The art of cooking fine food is a passion! Merging Old Recipes & New Ideas & Hoping It's Tasty! My pound cake turned out perfect! It tastes as good as it looks too! 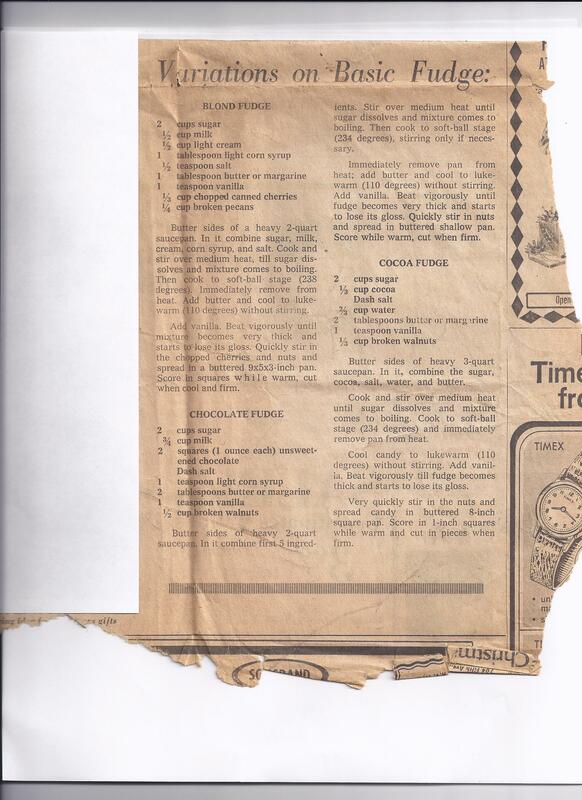 1967 Fudge Recipes from a newspaper clipping that I found in my Better Homes & Gardens vintage cookbook. The newspaper is the Miami Herald dated December 17, 1967. I have never seen ‘Blond Fudge with cherries & pecans’! Maybe I should try it. This is the first loose recipe that fell from the pages of my new (vintage) Better Homes & Gardens Cook Book ca. 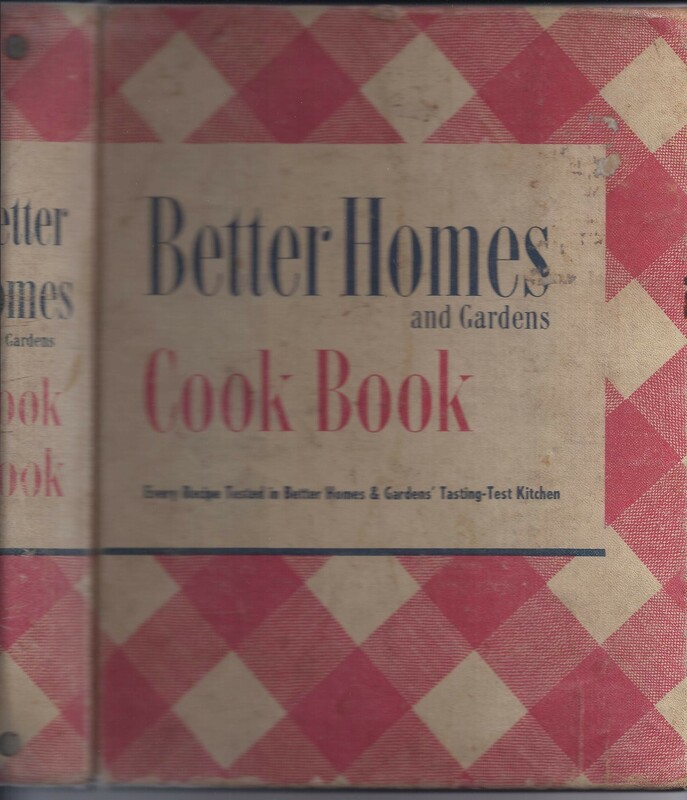 1946 so this recipe gets the honor of being the first recipe posted here! I don’t know the name of the lady that previously owned my Better Homes & Gardens Cook Book so I am going to call her Susan – at least until I find her name on something in the cookbook. 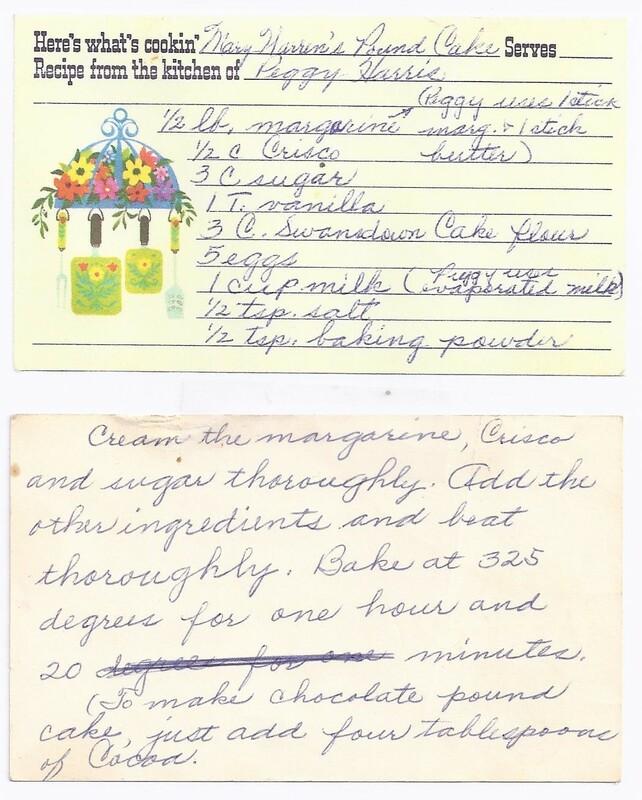 She had a beautiful handwriting and the first recipe card that fell out of the cookbook today is handwritten on a 3×5 recipe card. 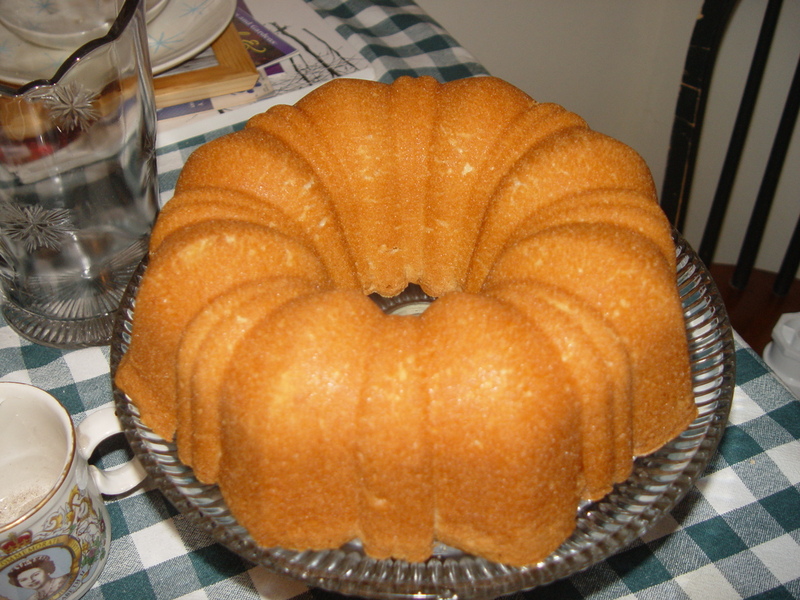 The recipe is for Mary Warren’s Pound Cake and it is from the kitchen of Peggy Harrie. The recipe seems to be a basic pound cake recipe and I bet it would be wonderful with some fresh berries and whipped cream. I will let you know after I make the cake!